Another restaurant awards scheme? But wait, this one is different. Food24 Content Producer, Katy Rose, shares her thoughts on a new way to measure a restaurant’s success. The March issue of Food & Beverage Reporter is now available online. 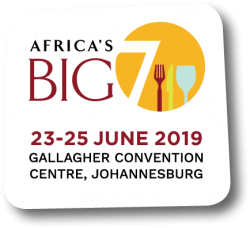 EXHIBITOR NEWS: The world’s first think drink arrives at Africa’s Big 7. Peel’s Honey is 100 per cent pure, non-irradiated South African honey. We provide a range of multiflora liquid, raw, and creamed honeys, as well as single-source speciality honeys.